A decade ago, few medications were available to treat dogs in pain at home. Dogs were spayed or neutered at the animal hospital, stitched up, and sent home without pain medication. And dogs with painful arthritis limped along without medications that were safe and effective for long-term use. 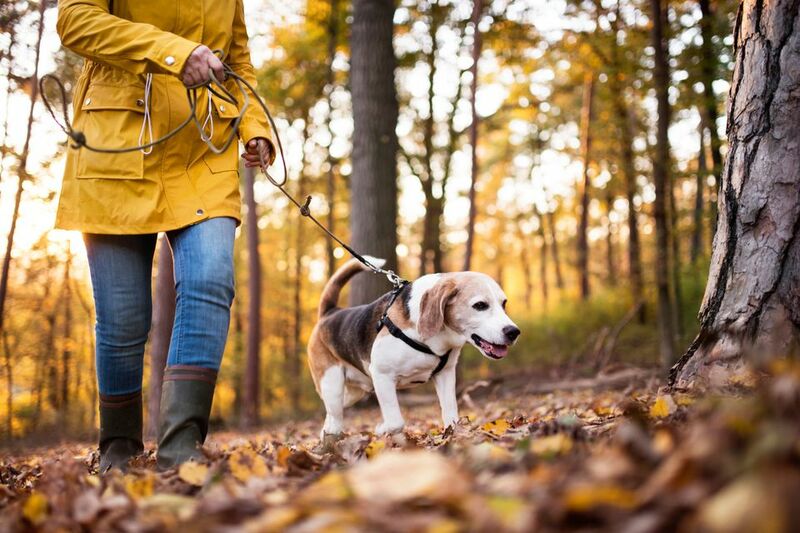 Today, a new generation of nonsteroidal anti-inflammatory drugs (NSAIDs) is bringing relief to millions of dogs with arthritis, joint problems, or with pain after surgery. "NSAIDs are extremely effective for controlling pain and inflammation in dogs," says Stephen F. Sundlof, D.V.M., Ph.D., "These are very valuable drugs that help many pets live to a ripe old age." Like any medication, NSAIDs carry a risk of side effects or adverse reactions. Most adverse reactions are mild, but some may be serious, especially if the pain medications are not used according to directions. Some reactions result in permanent damage or even death. "It's important for pet owners to be aware of the risks and benefits of all drugs, including NSAIDs so that they can make informed decisions about their pets' health care," says Sundlof. "Owners who give their dog NSAIDs need to know the side effects to watch for that indicate their pet needs medical attention." The most common side effects from NSAIDs include vomiting, loss of appetite, depression, lethargy, and diarrhea. Serious side effects include gastrointestinal bleeding, ulcers, perforations, kidney damage, and liver problems. "The side effects of NSAIDs are very well known and very well documented," says Michele Sharkey, D.V.M. But this information is not always getting to the pet owner, she says. "If the pet owner can recognize a possible reaction, stop the medication, and get veterinary help, it could mean the difference between a good outcome and a disaster." The Center for Veterinary Medicine (CVM) regulates medications for use in animals. It has approved some NSAIDs for use in dogs with pain from degenerative joint disease (osteoarthritis) or pain after surgery. NSAIDs help to control signs of arthritis, including inflammation, swelling, stiffness, and joint pain. Inflammation (the body's response to irritation or injury) is characterized by redness, warmth, swelling, and pain. NSAIDs work by blocking the production of prostaglandins, the body chemicals that cause inflammation. The FDA considers approved NSAIDs to be safe and effective when used according to the label and when dog owners are informed about common adverse reactions. Veterinarians are becoming increasingly aware of the advantages of recognizing and controlling pain, says Charles Lemme, D.V.M., "We recognize that pets are healing better and faster with pain control." Lemme says that the emphasis on pain management may be partly because of the availability of the newer NSAIDs. "The NSAIDs we have available now are a lot safer than what we've had before and we're seeing far fewer side effects than before." Before the newer generation of NSAIDs came along, "people were using NSAIDs such as aspirin in an attempt to mitigate arthritic pain," says Michael Andrews, D.V.M., "We saw the consequence of their use," adds Andrews, who recalls seeing a client who gave her dog aspirin for six weeks, two times a day. "The dog had a bleeding nose that wouldn't stop." "NSAIDs are used in many, many dogs and the frequency of problems is quite low," says Andrews. "The duration of use makes a difference in safety. If used for a day or two, the risks often are much lower than when used over long periods of time for a chronic arthritic condition." Drugs used to control pain should be given only when necessary, and in the smallest dose that is effective, says Sharkey. "Arthritis waxes and wanes. Some animals get worse in cold weather. If the dog seems to improve to the point of not needing the drug, the owner should discuss continued use of the NSAID with a veterinarian." An owner should never give a NSAID to a pet, or increase the dose or frequency of a drug, without the veterinarian's instructions, adds Sharkey. "Just like different people respond differently to a drug, the way each dog responds to a NSAID varies." Because of this individual response, no one NSAID is considered more effective than another. Also, because every NSAID can cause adverse reactions, none is considered safer than others. If a dog is prescribed a NSAID, the CVM recommends that pet owners take the following steps. This will ensure they are fully informed about the medication and can make the best decision for their dog's health. Ask your veterinarian about the benefits, risks, and side effects of any medications, including NSAIDs. "An informed dog owner is the best defense against serious side effects from NSAIDs," says Sharkey. "Owners should not hesitate to ask questions and inquire about possible side effects or signs to watch for when treating a dog." Tell your veterinarian your pet's symptoms and current medications, including prescriptions, over-the-counter drugs, vitamins, herbal supplements, and flea control products. Giving NSAIDS and other medications together could harm your dog. Aspirin, for instance, may be in a supplement you're giving to your pet, says Sharkey, and should not be used in conjunction with a NSAID. Dog owners should receive a "Client Information Sheet" with every NSAID prescription. Client Information Sheets are user-friendly summaries that explain the results to expect from using the drug. It will also tell you what to discuss with your veterinarian before giving the drug, possible side effects to look for, and other important information. The FDA has helped the pharmaceutical companies who make NSAIDs for dogs develop these sheets for owners. The companies provide them with each NSAID they ship. Ask your veterinarian for the sheet if you do not receive one, and read the information carefully before giving the medication to your dog. If your veterinarian can't provide the Client Information Sheet, you can get one by printing it from the CVM's website or by calling the toll-free number of the drug company. All dogs should undergo a thorough history and physical examination before initiation of NSAID therapy. Appropriate laboratory tests to establish baseline blood values prior to, and periodically during, the use of any NSAID are strongly recommended. If the veterinarian recommends a blood test before administering a NSAID to a dog, don't decline it, advises Sharkey. "There are good reasons for it." The knowledge gained from these tests could be critical in deciding whether the drug is safe to use in a dog. Testing is particularly important with long-term NSAID use, such as to treat arthritis pain, says Andrews. "It makes sense to do some preliminary screening blood work and periodic tests to identify any problems and monitor how well the pet is tolerating the drug over time." Many NSAID choices are available, and selecting the best NSAID for a particular pet is important, says Sharkey. "Sometimes, the process of finding the best one can mean changing the prescription." NSAIDs for dogs are available in various forms, including oral tablets, chewable tablets, oral sprays, and injections. Not every medication is available in every form. If you suspect an adverse reaction to an arthritis medicine, stop administering the medicine and contact a veterinarian immediately. Some reactions are mild and go away after stopping the medicine. These side effects are the most common. But not all possible side effects are included on the Client Information Sheet or on the drug label. Always contact your veterinarian if you have questions about your dog's arthritis medicine. What starts out as a minor problem can rapidly progress to an emergency. An owner should be encouraged to call his or her veterinarian with any concerns about the arthritis medicine their dog is receiving. The FDA has approved some nonsteroidal anti-inflammatory drugs (NSAIDs) for use in dogs. In the United States, Onsior is the only NSAID approved for use in cats. Veterinarians can, however, legally prescribe human drugs to animals unless it presents a risk to public health. This type of use is known as extra-label, or off-label, because it is for uses not listed on the label. Extra-label use can also mean prescribing a drug to a different species, for a different condition, or in a different dosage than that for which the drug was approved. For example, a veterinarian may prescribe a lower dose of a NSAID drug approved for dogs to a cat with an inflamed joint. However, pet owners should not give their own arthritis medicine to pets or otherwise medicate their animals without veterinary supervision, says Sharkey. Different species metabolize drugs differently, she says. "You take aspirin or Tylenol on any given day for a headache and not think twice about it, but dogs are more sensitive to aspirin than humans, and one Tylenol can kill a cat. Pet owners should always work with their veterinarians to make medication decisions." If you or your veterinarian suspects that an adverse reaction is related to the use of an arthritis medicine or any drug, it should be reported to the pharmaceutical company. Usually, the veterinarian reports it, but if the veterinarian doesn't, the owner should. The company, by law, has to report all adverse reactions to the FDA, which looks for signals of increased frequency and severity of adverse reactions. The FDA works with the pharmaceutical firms to address these events and improve the ability of the product to be more safely used. If unable to report problems directly to the pharmaceutical company, veterinarians and owners are encouraged to report veterinary Adverse Drug Experiences (ADEs) and suspected product failures to the government agency that regulates the product. Adverse experiences with NSAIDs should be reported to the FDA's CVM. FDA Center for Veterinary Medicine. Currently Approved Labels for Companion animal Non-Steroidal Anti-Inflammatory Drugs (NSAIDs). 2017. Sharkey M, Bron M, Wilmot L. Advice to Dog Owners Whose Pets Take NSAIDs. U.S. Food and Drug Administration. 2017. Can Anipryl Help Your Senior Dog or Cat With Dementia?